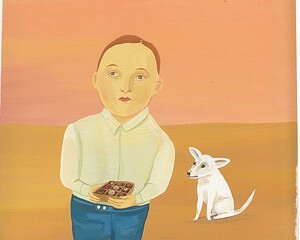 An illustration for a review of Lorrie Moore's book of short stories, Bark. 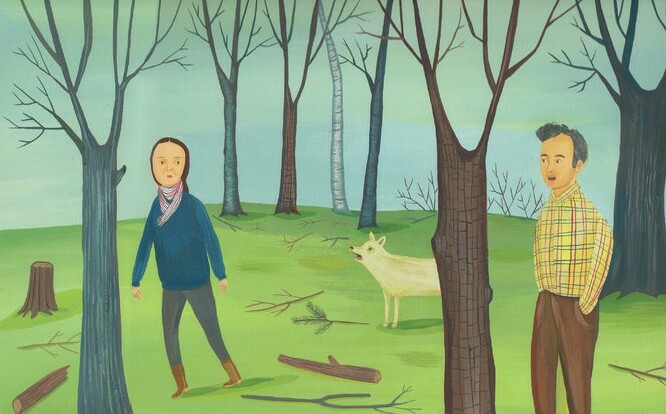 We're big fans of Rosendale-based illustrator Giselle Potter. The Year I Didn’t Go to School, chronicling the time she spent as a child traveling with her parent's circus troupe, is the kind of magical story children's books were invented for. In Sunday's New York Times Book Review, Potter illustrated a review of Bark, Lorrie Moore's first collection of short stories in 16 years. If you want to see some of Potter's work in person, her Illustrations will be up at Carrie Haddad Gallery in Hudson as part of the group exhbiitin "Modern Artists," through this Sunday, March 2.